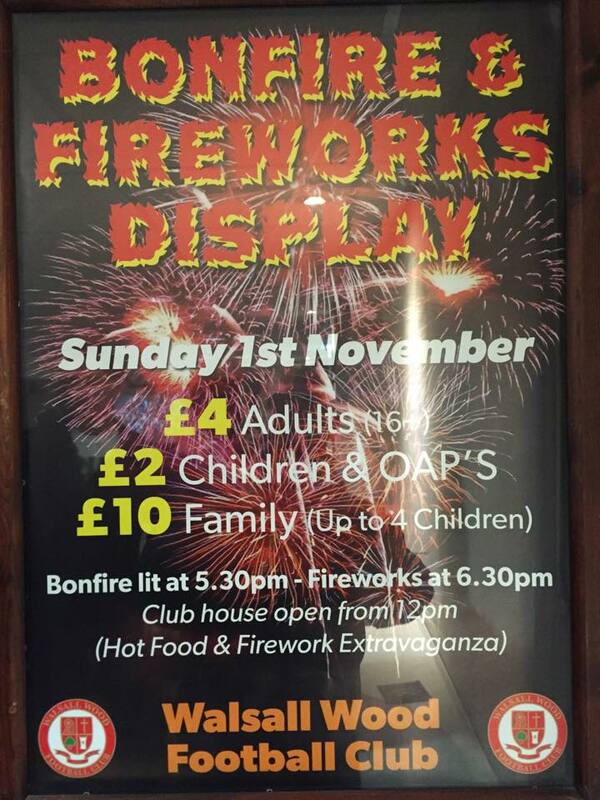 Bonfire and Fireworks at Hammerwich this evening, and Walsall Wood FC on Sunday! Bonfire and Fireworks at Walsall Wood FC this coming Sunday evening! Fancy some musical fun with the Brownhills bad girls? Fancy some wonderful, feel good musical theatre? Bonfire and Fireworks at Walsall Wood FC this evening! If you’re at a loose end tonight (Sunday 5th November 2017), or are looking for a good firework party to take the kids to, there’s a great event at the Walsall Wood Football Club Ground, Oak Park, Walsall Wood kicking off at 5:00pm. Two firework and bonfire events this weekend – one in Hammerwich this evening (Saturday 4th November 2017) and the one tomorrow evening at Walsall Wood FC – both events are always a great night out and the weather looks decent, so why not take a spin out? 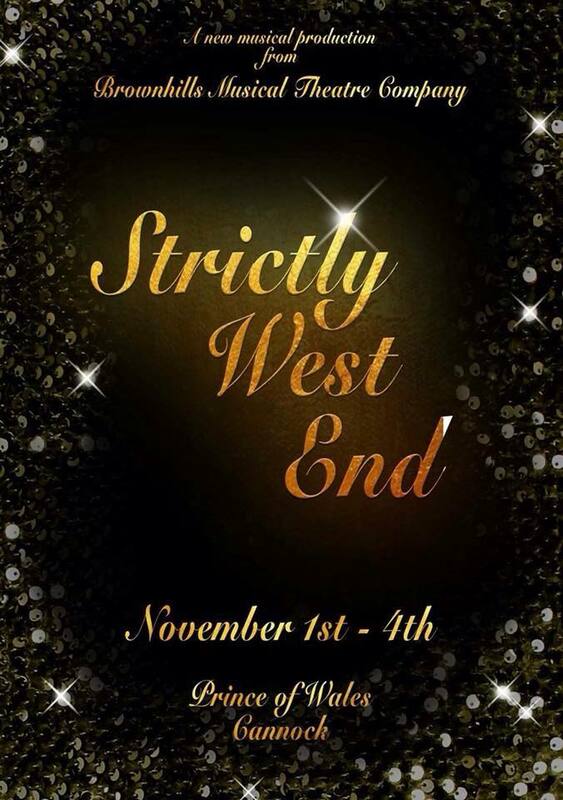 Make it Strictly West End with Brownhills finest – who are also returning home! 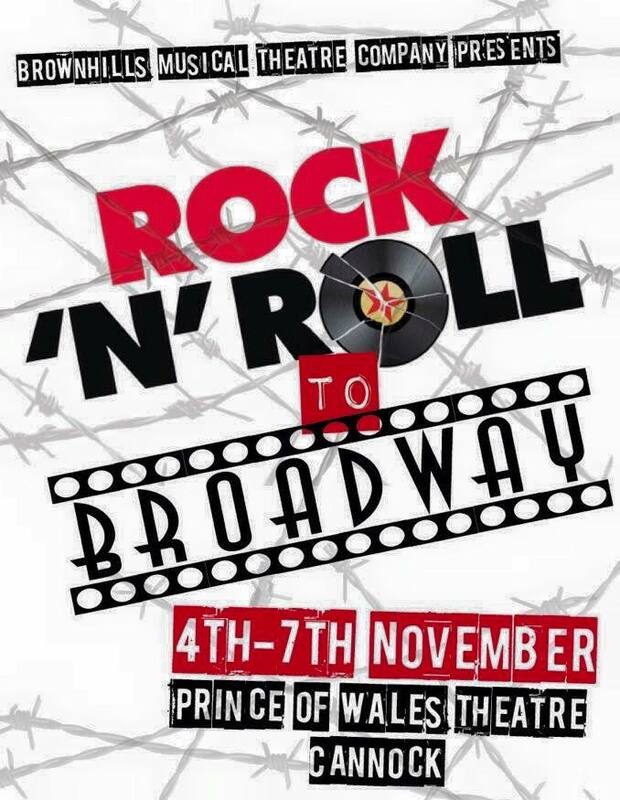 Martin Morris from the Shire Oak group on Facebook has drawn my attention to the fact that Brownhills Musical Theatre Company have their latest show ‘Strictly West End’ on this week at the Prince of Wales Theatre, Cannock. If you’re at a loose end on Sunday evening (5th November 2017), or are looking for a good firework party to take the kids to, there’s a great event at the Walsall Wood Football Club Ground, Oak Park, Walsall Wood kicking off at 5:00pm. The 9 to 5 is anything but dull with Brownhills finest! 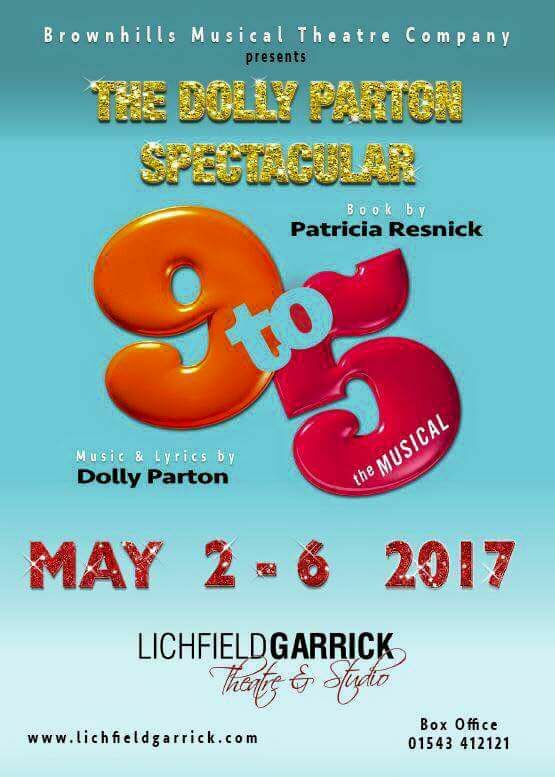 Old pals of the blog and top performers Brownhills Musical Theatre Company contacted me in the last few days to ask if I’d plug their latest show – the Dolly Parton hit 9 to 5 – which looks set to be a real gem. Get mysterious and spooky with Brownhills finest! 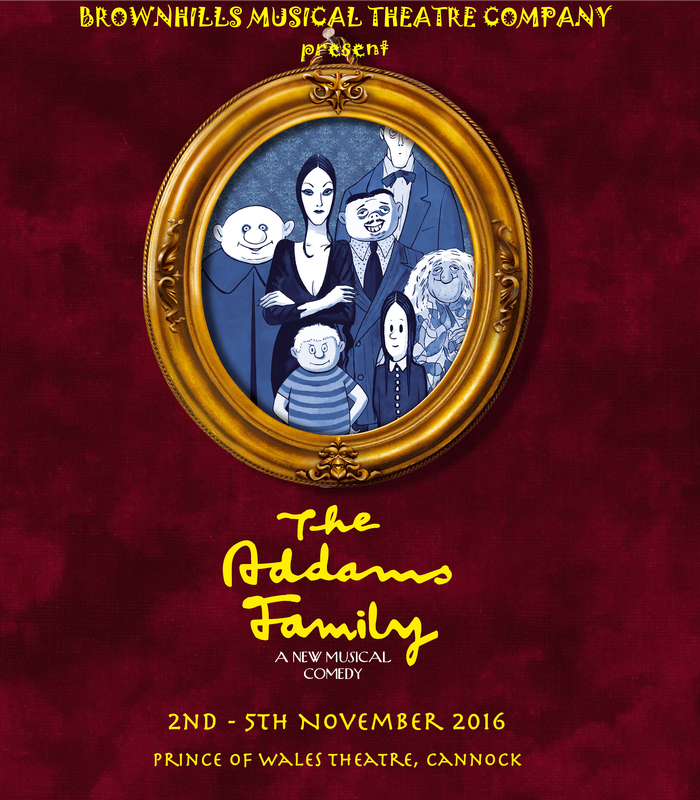 Old pal of the blog and top local musical whizz Jamie Norgrove contacted me from Brownhills Musical Theatre Company last to ask if I’d plug their latest show – The Addams Family – which looks to be a real gem. Beter late than never – Rock out with Brownhills finest! Old pal of the blog and top local musical whizz Jamie Norgrove contacted me from Brownhills Musical Theatre Company some weeks ago to ask if I’d plug their latest show – and I must confess, it totally slipped my mind. 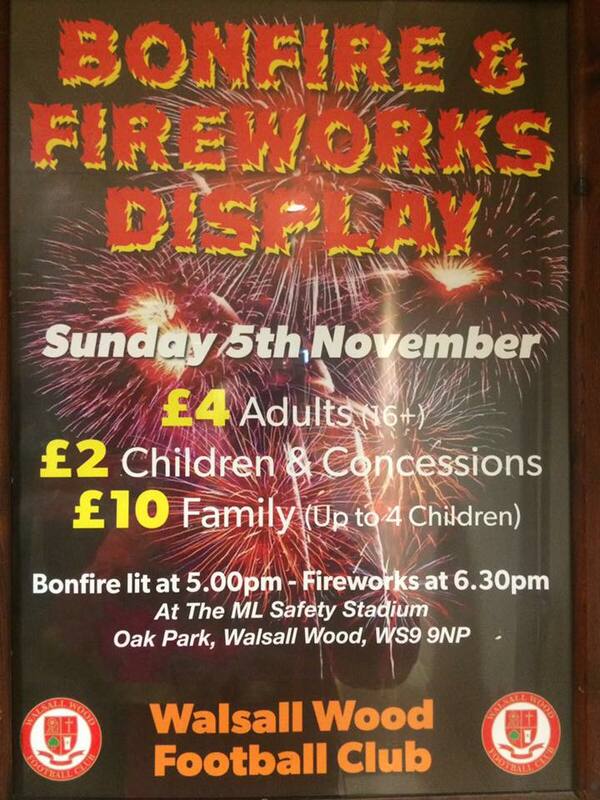 Bonfire and Fireworks at Walsall Wood FC Sunday evening! If you’re at a loose end on Sunday evening (1st November 2015), or are looking for a good firework party to take the kids to, there’s a great event at the Walsall Wood Football Club Ground, Oak Park, Walsall Wood kicking off at 5:30pm. 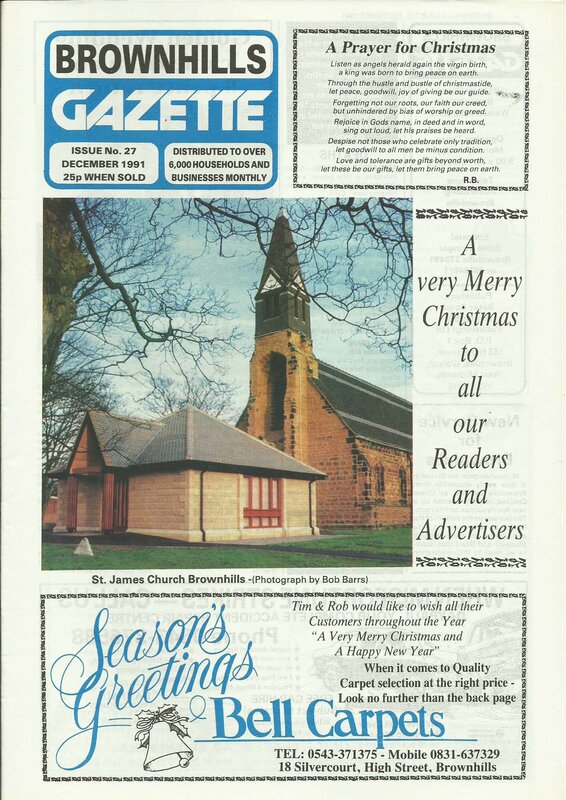 Completing the scans of the Brownhills Gazette – I present the final issue – number 74 – of the long lost freesheet, from November 1995 for you to peruse and download – I’ve had an incredible response to featuring these long, lost publications here on the blog. 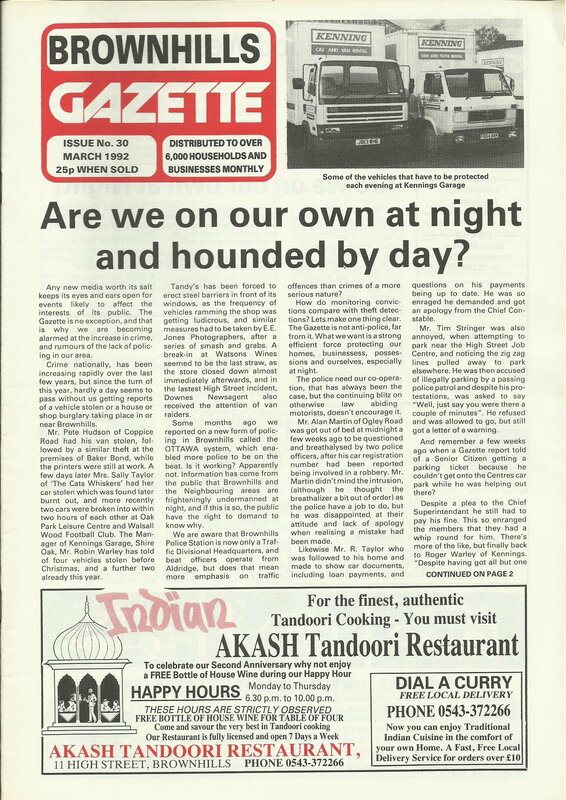 March 1992 – Are we on our own at night and hounded by day? 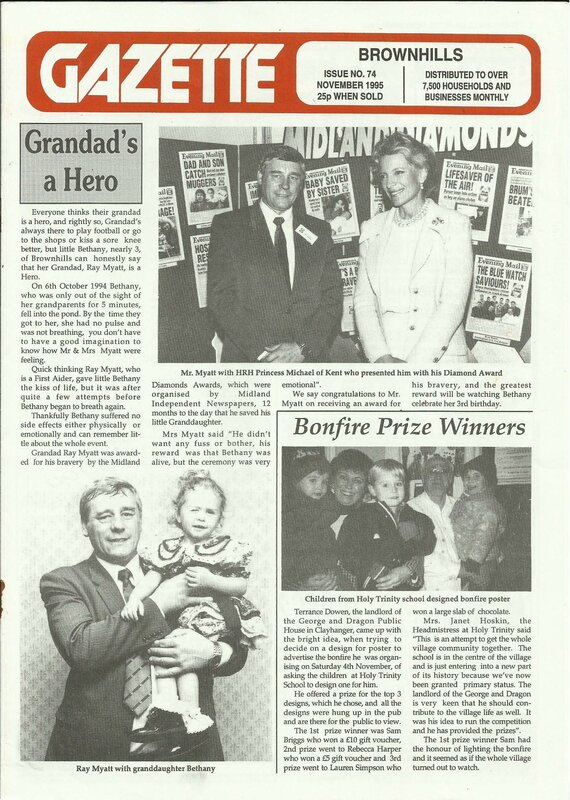 Continuing the scans of the Brownhills Gazette – I present issue 30 of the long lost freesheet, from March 1992 for you to peruse and download. I’ve had an incredible response to featuring these long, lost publications here on the blog. 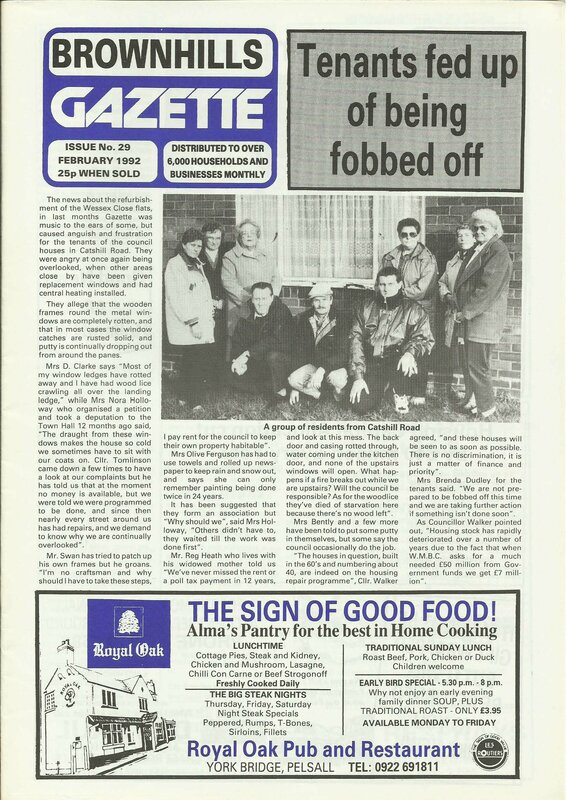 Continuing the scans of the Brownhills Gazette – I present issue 28 of the long lost freesheet, from January 1992 for you to peruse and download. I’ve had an incredible response to featuring these long, lost publications here on the blog. 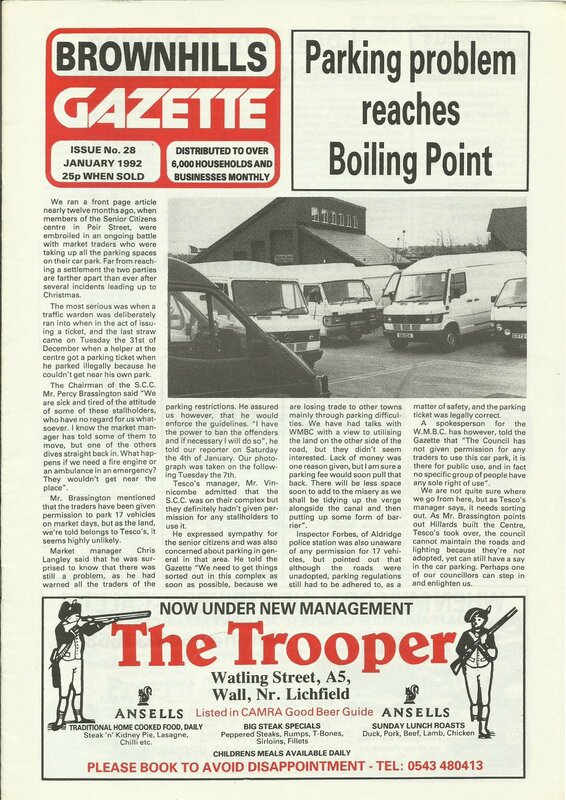 Continuing the scans of the Brownhills Gazette – I present issue 27 of the long lost freesheet, from December 1991 for you to peruse and download. I’ve had an incredible response to featuring these long, lost publications here on the blog. 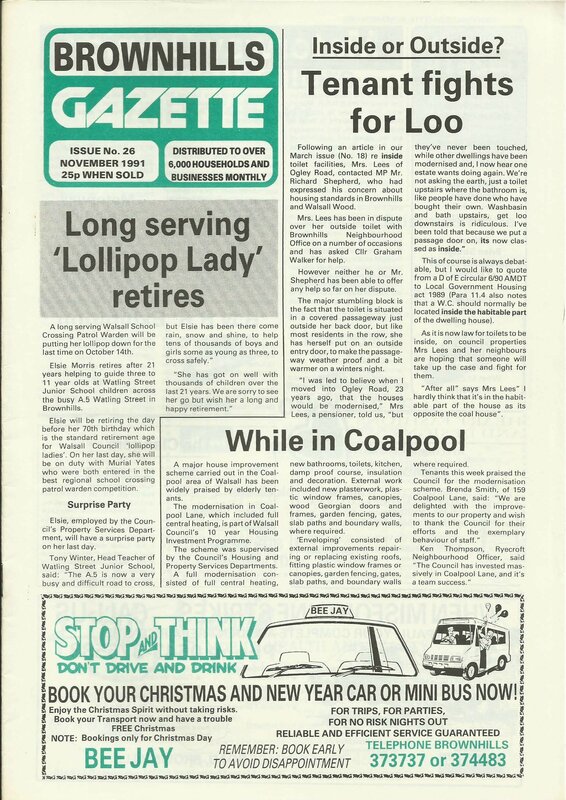 Continuing the scans of the Brownhills Gazette – I present issue 26 of the long lost freesheet, from November 1991 for you to peruse and download. I’ve had an incredible response to featuring these long, lost publications here on the blog. 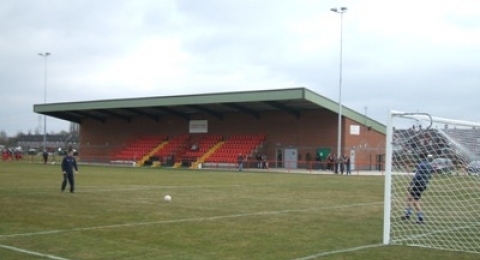 Last Tuesday evening (18th November 2014), Walsall Wood FC were away to face Stafford Town – and after a long drawn out, tense match, they sadly crashed out of the Walsall Senior Cup. 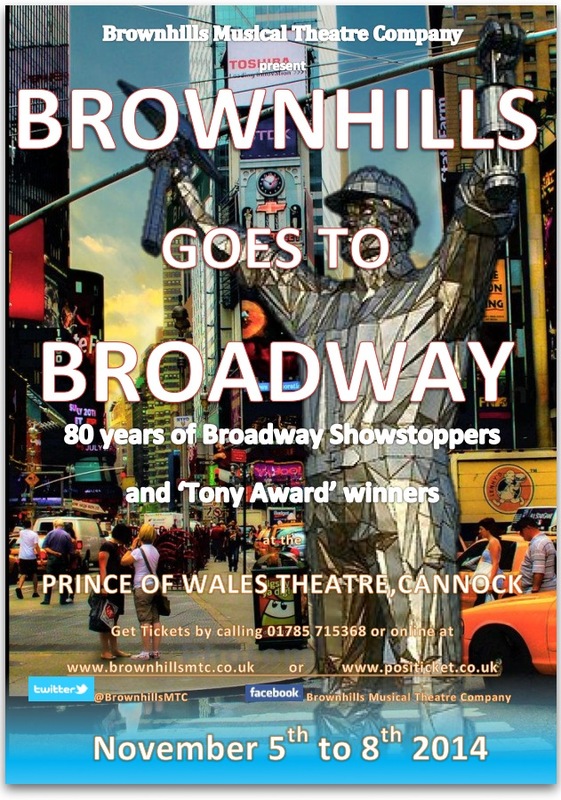 Old pal of the blog and top local musical whizz Jamie Norgrove contacted me from Brownhills Musical Theatre Company a few days ago to ask if I’d give their latest production – Brownhills Goes to Broadway – a plug. 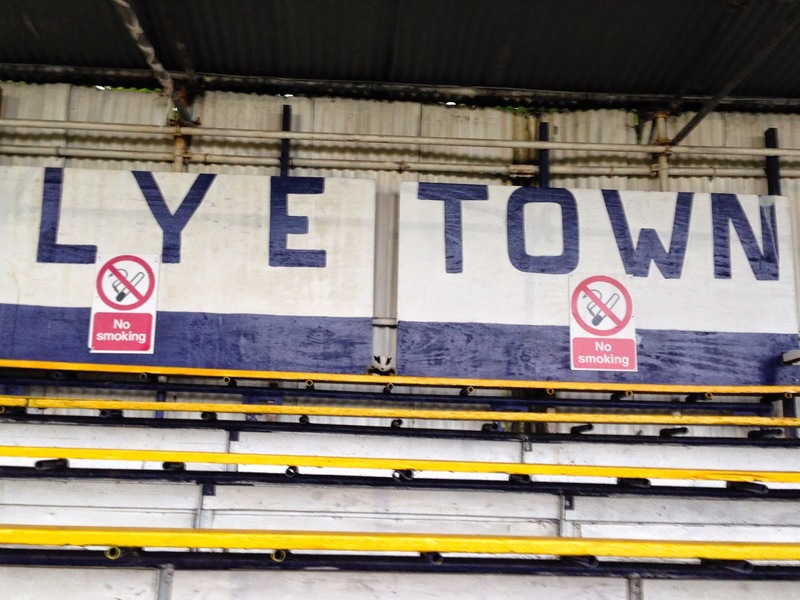 Yesterday afternoon (25th October 2014), Walsall Wood FC were away to face Lye Town at Stourbridge Road – somewhat disappointingly, the Wood boys only scraped a draw. 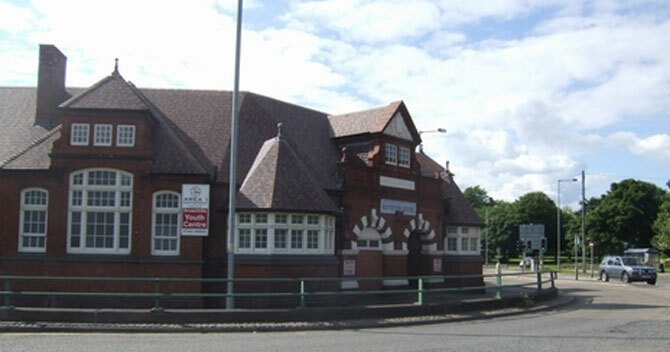 Yesterday afternoon (Saturday, 30th November 2013), Walsall Wood FC faced Quorn FC away, and after a somewhat intemperate match, the Woodmen came away the victors, taking them to a historic position in the league. Yesterday evening (Tuesday 26th November 2013), Walsall Wood FC faced Boldmere St Michaels at home, and aced yet another resounding and well-deserved win. 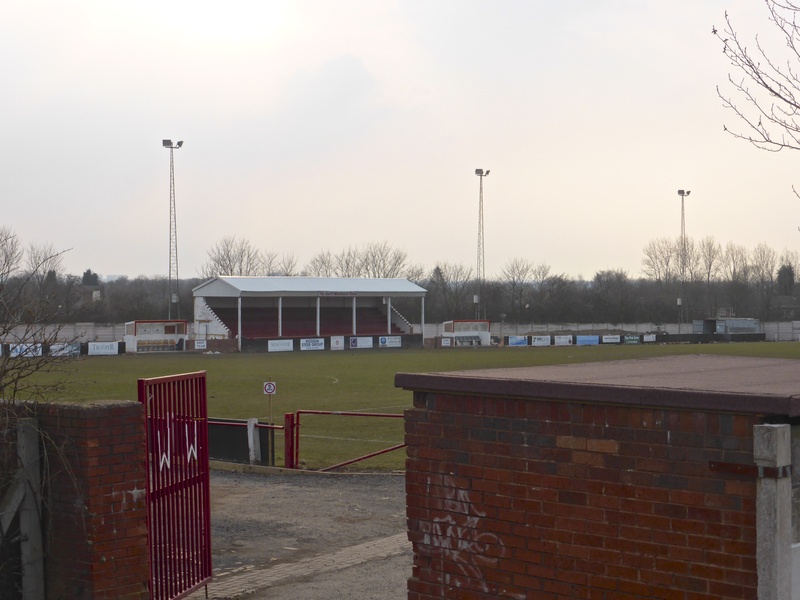 Yesterday afternoon (Saturday, 23rd November 2013), Walsall Wood F.C. 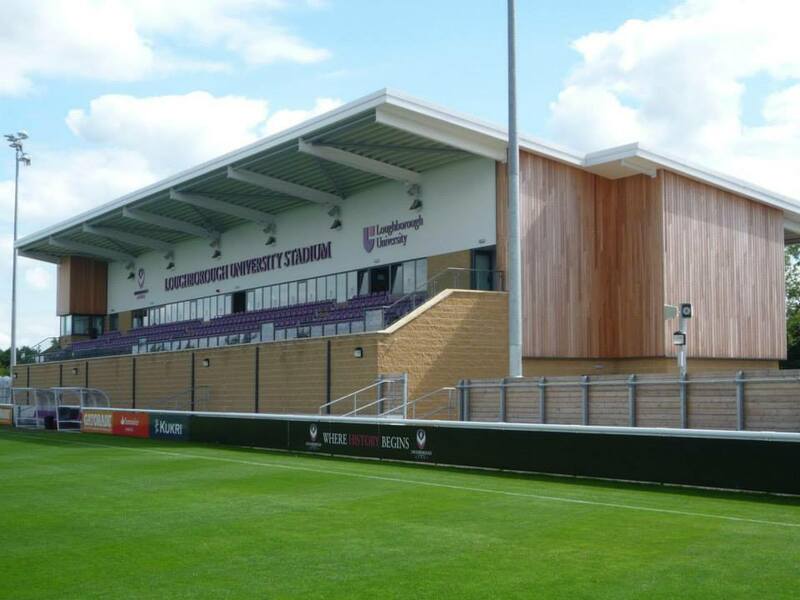 faced Loughborough University away, and they came home with a creditable draw after some wonderfully entertaining football. It was hotly anticipated, but sadly, not to be. Walsall Wood were today no match for Spalding United, but by all accounts, a good time was had by all, with a good gate and large crowd. Tuesday evening (12th November 2013), Walsall Wood F.C. faced Port Vale at home, and sadly for the Woodmen, this match broke their run of good fortune. 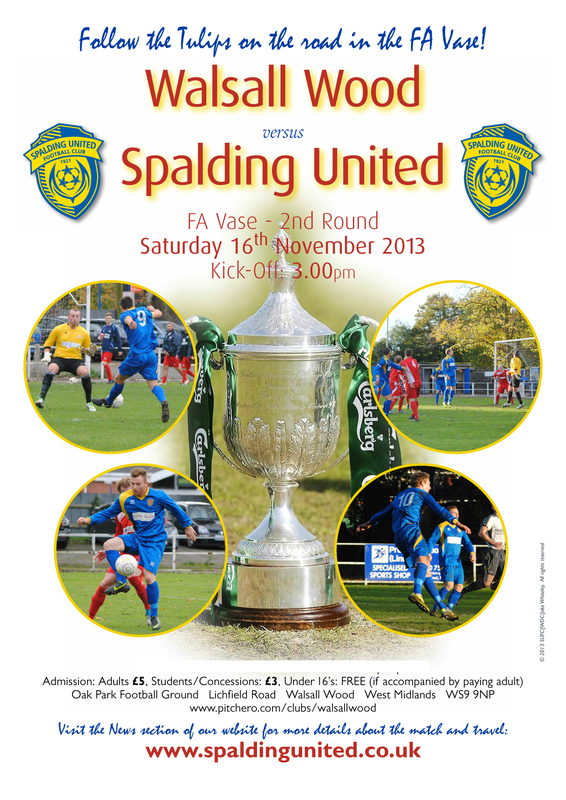 Yesterday afternoon (Saturday, 9th November 2013), Walsall Wood F.C. faced Tipton Town away, and yet another win for the boys from the Wood, who seem to be on a bit of a run at the moment. 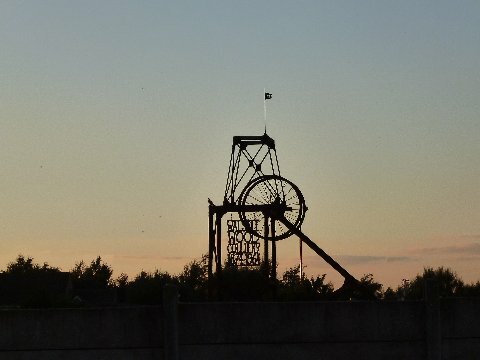 Tuesday evening saw Walsall Wood face Heath Hayes at Oak Park – this is always a bit of a notorious pairing, and the blog football fans – Bill Shaw and the Young David Evans – were both in attendance to watch the flare-ups and cheer on the local lads. Bonfire & Fireworks at Walsall Wood FC this evening! 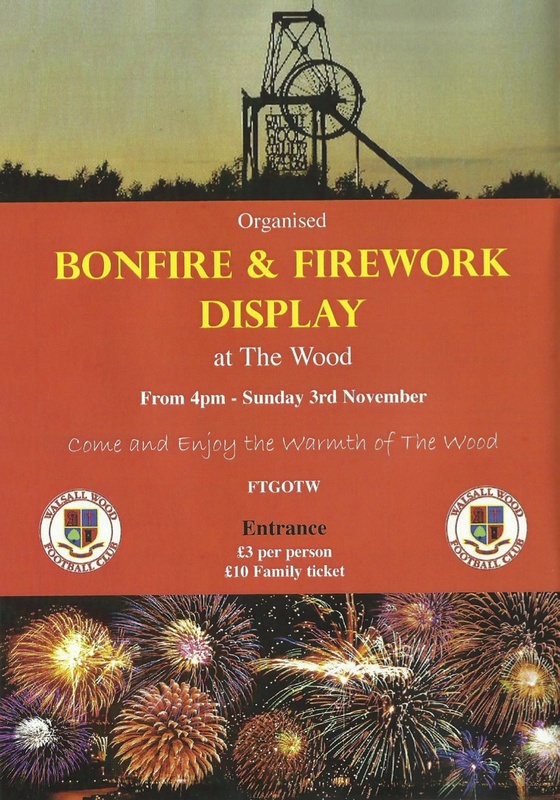 If you’re at a loose ed this afternoon, or are looking for a great firework party to take the kids to, there’s a great event at the Walsall Wood Football Club Ground, Oak Park, Walsall Wood, this evening (Sunday, 3rd November 2013), kicking off at 4:00pm.